All of our chiropractors are registered with the General Chiropractic Council and are either Members of the British Chiropractic Association or the United Chiropractic Association. 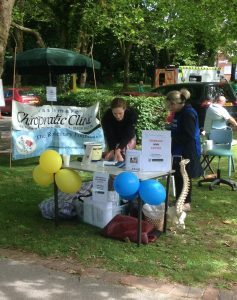 We also hold both Quality Marks awarded by the Royal College of Chiropractors, and are proud to raise money and awareness of a locally based charity chosen by our Team every year. The Royal College of Chiropractors (rcc-uk.org) awards Quality Marks to practices who can demonstrate that they are meeting high standards in the required areas. Haslemere Chiropractic is one of a minority of clinics in the UK to hold both these Quality Marks. We have now had our awards renewed a number of times (they run for a 3 year period). Every time an award is renewed the practice is required to demonstrate new initiatives and improvements that have been introduced, so we are particularly proud that we can demonstrate in this way that we are constantly looking to develop and improve the service that we offer and quality of care that we provide. 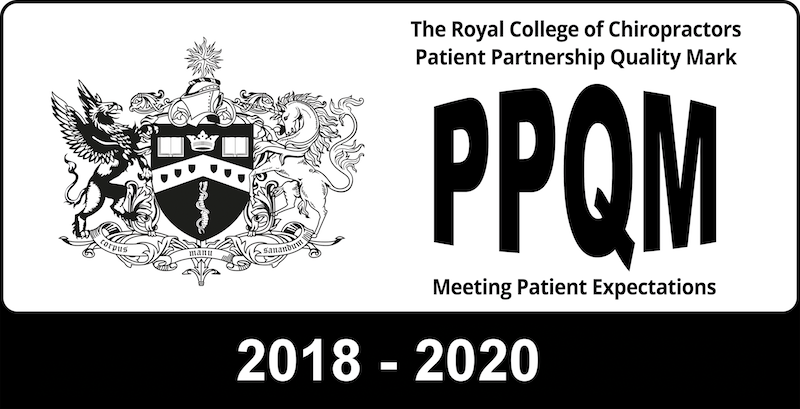 PPQM (Patient Partnership Quality Mark) is awarded to recognise excellence in terms of meeting patient expectations. Haslemere Chiropractic first held this award in 2007. Practices are required to demonstrate they meet patient expectations in a wide range of areas including: accessibility, booking systems and out-of-hours cover, cleanliness and safety, privacy, communication, patient education, record keeping and other forms of care offered. 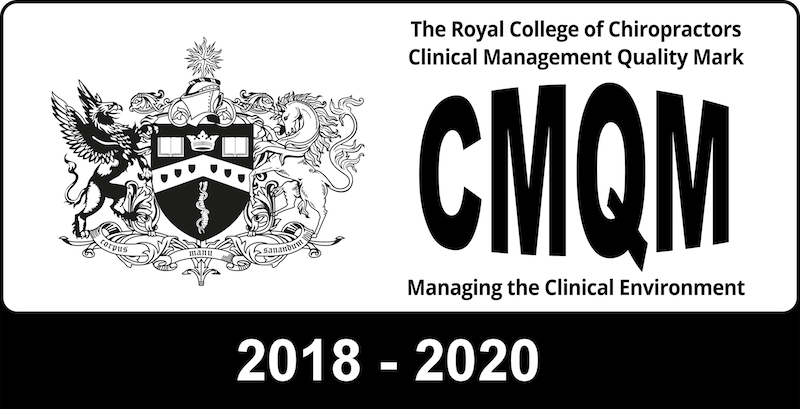 CMQM (Clinical Management Quality Mark) recognises excellence in terms of operating within a structured and managed clinical environment. Haslemere Chiropractic first held this award in 2010. Clinics must demonstrate excellence in a range of areas including: clinical audit, risk management, incident reporting, outcome measurement, patient satisfaction, emergency procedures and operational policy. Customer Service Award 2007 Everyone at Haslemere Chiropractic Clinic felt very honoured to be recognised by our local business community in this way. It is an important part of our identity to be an active part of the community. 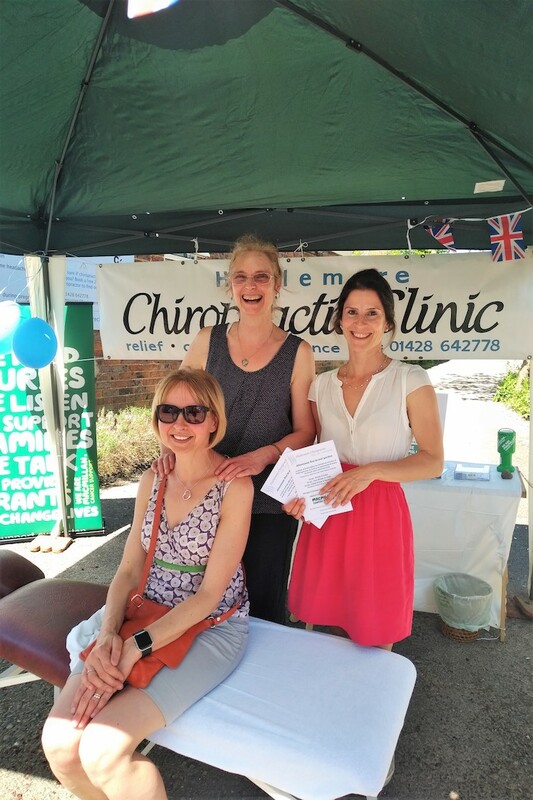 Every year, the Haslemere Chiropractic Clinic team nominate a locally based charity to support with fundraising activities. 2018 – Macmillan Cancer Support is the charity that we are supporting, working to raise funds for the Haslemere and District branch. Several of our team members’ families and friends have been affected by cancer in the last few years, so we are keen to support the work that Macmillan do. 2017 – The Rosemary Foundation was the charity that we chose to support, providing hospice care at home for seriously ill people. We raised £178.73. 2016 – Pancreatic Cancer Action was our chosen charity. 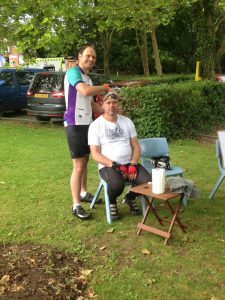 Fundraising projects included a “Yoga in a Yurt” workshop, cake sales, and our massage and advice stand at Liphook Bike Ride (formerly Lidba). 2014 & 2015 – Dreams Come True. We raised £533 with cake sales in the clinic, offering massage and advice at events (including Lidba and Haslemere Classic Car Show) in return for a charity donation, and sponsorship (Susie in triathalon, and Stuart on his bike).